Home Strategies Why Are Mobile Conversion Rates Lower Than Desktop? In our latest SaleCycle Academy video, Acquisition Marketing Manager Jack Ford takes a look at why mobile conversion rates lag behind desktop. A decade on from the release of the first iPhone, mobile shopping is massive. Much of this is thanks to Apple, and the many smartphones which followed, but there are still obstacles to mobile commerce. Around half of all visits to retailer’s sites come from mobile, but just 36% of purchases take place on mobile. 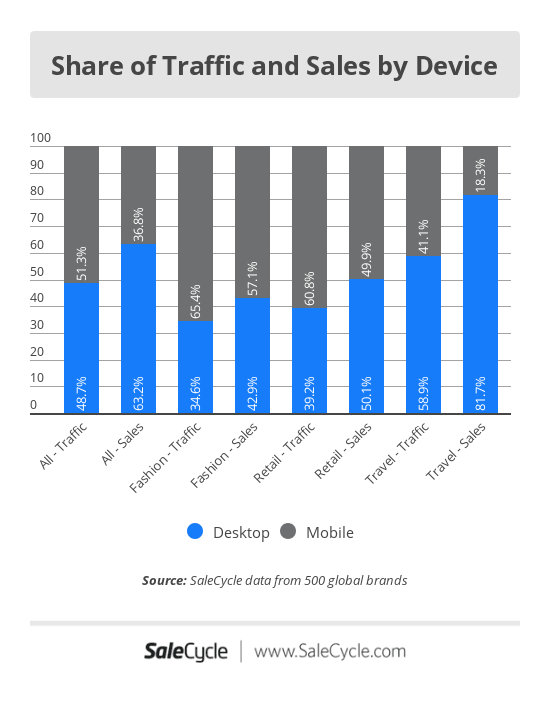 In fact, mobile conversion rates are less than half of those for desktop. It seems that people are happy to browse on mobile, but many still prefer to buy on desktop, so let’s look at the reasons why. There are several reasons why people prefer to buy on a laptop or PC. For one, it can be easier to navigate around a site and view images on a bigger screen, so some shoppers may browse on mobile and select products later on. People are also more likely to buy on desktop when purchases are more complex. Travel purchases are generally more expensive and complicated – only 18% complete bookings on mobile. People hate registering before they begin a purchase, and it seems like hard work for mobile shoppers, so providing a guest checkout option is one way to improve conversion rates. It’s a barrier for customers, and one that isn’t necessary, as they can complete registration after purchase anyway. Making forms easier and faster reduces hassle for shoppers, and reduces sources of friction where people might abandon checkout. Sites can allow users to autofill address and payment details saved on their phone’s browser, or postcode lookup tools to reduce the number steps customers need to take. 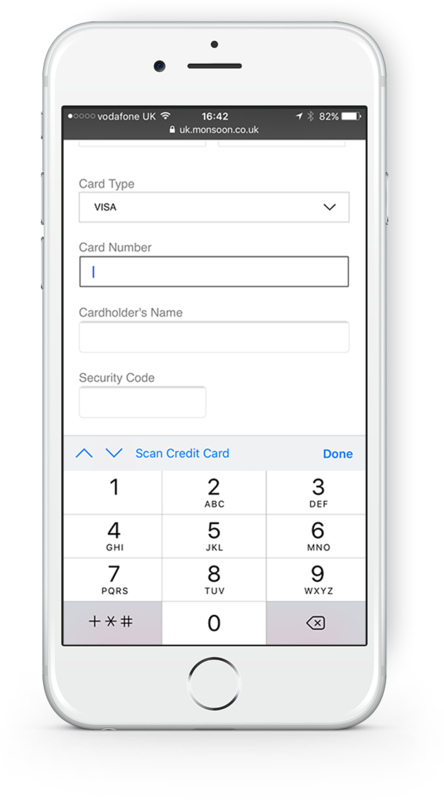 Small details matter, such as defaulting to the most appropriate smartphone keyboard, like the numeric version for entering payment card details. It’s about making it easier for customers through marginal improvements. Payment methods matter too, and providing alternatives can make it easier for mobile shoppers. Card details take time to enter, but PayPal and digital wallet options like Apple Pay can make payment fast and smooth. Mobile is a challenge for retailers, but now that customers have shown they’re willing to browse and buy on mobile, it’s all about making the payment process smooth and easy for shoppers.